Movements of peoples due to nationality and ethnicity occurred on an unprecedented scale over the course of the 20th century. Movements of peoples due to nationality and ethnicity occurred on an unprecedented scale over the course of the 20th century during the formation of nations and the ethnic definition of nation states in the territories of the former multiethnic empires of Europe, specifically, in Central, South-eastern and Eastern Europe. Forced relocation, flight and expulsion are outlined using the example of four complexes defined in space and time. The numerically most extensive population shifts were initiated by National Socialist expansion policies and triggered a spiral of force and violence to which eventually large parts of the German population also fell victim. 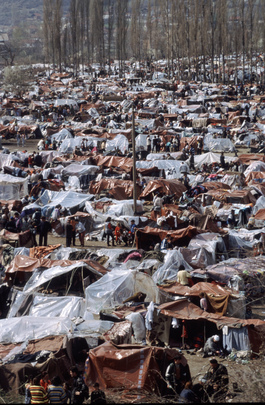 The motives and practices of forced migrations only differ in degree and detail. The question of who initiated the spiral of violence and, consequently, created an extremely polarized order that neither perpetrators nor victims could (or would) withdraw from is historically significant. 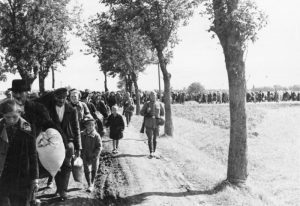 Treks of the expelled and the fleeing are among the defining national and transnational lieu de mémoire in European history of the 20th century. Flight and expulsion have also occurred in previous centuries,1 but now took on gigantic proportions. 50 to 80 million Europeans presumably left their homes involuntarily. These estimates are difficult to verify. Statistical recording of human tragedies is full of gaps, contradictions and possible double counts. Also, the terms used for quantification are defined differently from country to country. In addition, national discourses, the struggle for the “politically correct” choice of words, and the shaping of the national, and transnational “memorial cultures” remain in full swing.2 The collapse of the communist systems in 1989, the opening up of until then inaccessible archival materials, and the historiographical processing of previously taboo topics has resulted in an intensive debate on forced migrations. Although conducted in a very controversial manner, this discussion increasingly permits recognition of remarkable rapprochements across national boundaries. The following will exclusively discuss migrations enforced by 1. Command (force), 2. Violence, 3. Threats of violence, or 4. Fear of violence (revenge), with fluid transitions between the categories, to the extent that they were ethnically or nationally motivated. Flight due to socioeconomic or political motives, the evacuation or flight of parts of the population from the scenes of war and the deportation of prisoners of war have not been included if the ethnic/national affiliation of the affected did not play a causative or a clearly causative role (which cannot always be resolved beyond any doubt in specific cases). This paper does not discuss the deportation and murder of the Jews because the Holocaust is a separate topic. Forced migrations in the meaning of this paper are the core of what has been summarized since the start of the war in Bosnia in 1992 under the term “ethnic cleansing”.3 Ethnic cleansing is not a trivializing term for genocide but includes a broad spectrum of measures of which some – such as human rights violations, war crimes and genocide – are punishable, but others – e.g. an obligatory population exchange among states – are not. Ethnic cleansing includes those measures initiated and performed, encouraged or tolerated by a modern state or para-state and its agents that aim to remove a population that is stigmatised due to its ethnicity as “threatening”, “disloyal”, “alien” and often even as “inferior”, from a particular territory. These measures are deliberate (intentional) and systematic but can also be accompanied by unregulated actions (“wild” expulsions) that are the result of the course of a conflict (processual or “functional” forms of ethnic cleansing). Evacuation and flight in anticipation of ethnic cleansing also belongs to this context. The objective of ethnic cleansing is not primarily genocide but a territorial removal of the ethnically “alien” and “hostile” population group(s) to cause the territory of the state, the constitutive people and “the people’s soil” to coincide. The engine of this type of forced migration is always excessive national and ethnic portrayals of the enemy. Usually national or ethnic minorities in states that strive for ethnic and national homogeneity are affected.4 Forced migrations occur especially where the “Us” group of actors considers itself to be a community of descent and parts of its actual or claimed territory are inhabited by population groups who do not belong to this “Us” group or titular nation. Security arguments (prevention of separatist movements or repulsion of irredentist ambitions of a neighbouring state) play as much a role in this as revenge for suffered injustice or the redistribution of assets, societal resources and opportunities. 1. In previous centuries, the ethnic affiliation of persons only played a subordinate or no role for the mass of the population (likewise for the rulers), especially since the criteria for affiliation to a large group (language, religion, settlement area, shared past, descent or a combination of several criteria) were often unclear or contradictory. In the always thinly settled areas of Eastern Europe, many rulers and owners of large territories deliberately introduced outsiders from the Middle Ages through to the 19th century to improve their territories and often granted them privileges. Only during the course of forming nations and nation states in the 19th and 20th centuries, the accompanying processes of inclusion and exclusion, and the striving for “definiteness” did ethnicity come to play the outstanding role that was attributed to it in the 20th century at the latest. People who could not be unambiguously classified in ethnic/national terms or changed their self-designation – which was normal in previous centuries – now became a problem. The modern sciences (especially biology, physical anthropology, genetics, ethnography/ethnology) and the race theories , which had spread since the late 19th century, have pushed ahead the classification of people according to ethnicities, nations and races as well as “ethnic engineering”.5 In the pre-modern period, entire population groups were affected by expulsion, forced resettlement or flight, but usually not due to their ethnicity (which was in any case difficult to define). Rather, the reasons were religious (e.g., Jews, Moriscos, Hutterites, Huguenots) or due to actual or presumed disloyalty toward the ruler or as part of a settlement policy. 2. The crisis and decay of the great multi-ethnic empires in Europe (Ottoman empire, Habsburgmonarchy, Tsarist Russia and the German empire) initiated a series of state formations: The political map of large parts of Europe was rearranged with reference to the right of peoples to self-determination according to “nation state” and ethnographic criteria. If all border changes of the 20th century are entered into a map, it is immediately noticeable that an area in the middle of Europe – between Western Europe and the compact Russian settlement area – is more strongly characterized by major boundary shifts than all other parts of the continent. In territories with an ethnically mixed population or with a population that (still) has not developed an ethnic, let alone, a national awareness and, for example, defines itself according to religion/confession or region, the right of self-determination unfolded its “dark” – and often little noted – side. It caused politicians and their scientific “aids” (ethnographers, linguists, historians) to “hide” or let “disappear” the existence of an ethnically different or differentiated population in a particular territory. Ethnic incorporation (against the will of the affected), expulsion, motivation to flight and mass murder developed into important instruments when enforcing nationally homogeneous territories. 3. The wars characterizing Europe in the 20th century were wars of mass destruction. The concept of the “contained war of states”, which was developed after the Thirty Year War, broke down in the 20th century even though the Hague Convention respecting the Laws and Customs on War and Land of 1907 entrenched the differentiation between combatants and civilians in international law. The concept of the people’s war, which has been advancing since the French Revolution with “levée en masse“, the ethnification of wars and, finally, the development of weapons of mass destruction promoted the transformation of “classical” warfare. The ethnification of the “people’s war” resulted in not just understanding the opposing army as the party waging war but also the entire “alien” population. 4. The great dictatorships of 20th century Europe – National Socialism and Stalinism – have ruthlessly abused ethnic concepts to impose their rule by force and found many imitators. The power apparatus required for this purpose was also a product of modernism. The German nation was a remarkable product of such constructions. After the founding of the empire, it consisted of two components: The Reichsdeutsche (“Reich-Germans”) within the empire and the Auslandsdeutsche (“German expatriates”) outside. In the interwar period, the term Volksdeutsche (“ethnic Germans”) established itself for Germans living in other countries, meaning those (groups of) persons who were considered German due to “blood” and descent even if their German national awareness was only in statu nascendi.10 Therefore, Volkstumsforschung (“ethnicity research”) and folktales experienced an astonishing popularity in Germany and many other European countries.11 Descent is an extremely rigid criterion for inclusion and exclusion since descent (as opposed to language, religion and identification with a political community) cannot be chosen or changed. A person is either one of “us” by descent or not one of “us” – tertium non datur. It is neither possible to enter the community of descent nor to leave it. However, since the presumed common descent from large groups that is projected far into the past cannot be proven or refuted (even the Ariernachweis [“certificate of Aryan descent”] of the Nazis was mere patchwork), the floodgates to manipulation were opened in two ways: 1. Groups of persons could belong to the community of descent even if they do not belong according to the evidence of their language, religion or culture. The presumed descent makes it possible: Allegedly, the respective ancestors “lost” their “true” language or their “original” culture.12 Since this was considered a violation against the “natural order”, the affected groups needed to be “returned” to their “true ethnicity”, e.g. through “re-education”, forced conversion, language change and/or name change.13 If they offered “resistance”, they were “traitors” and were treated as such.14 2. A state could also have resident population groups that were deliberately excluded from the ethnically defined titular nation (especially Jews and Balkan Muslims)15 or did not allow the latter to include it (“assimilate”). Therefore, these groups were experienced as “alien” and a “threat”. The results were endless “ethnicity struggles”,16 including their accompanying symptoms: forced assimilation, ethnically motivated forced resettlements, expulsions and flows of refugees. Overall, four major complexes of forced ethnic migrations (without claim to completeness) defined by space and chronology can be differentiated in 20th century Europe. All occurred with some restrictions in the context of wars: 1. The Balkans and Asia Minor from before the start of the Balkan Wars of 1912/1913 to the signing of the Greek-Turkish Convention of Lausanne in 1923; 2. The Soviet Union in the 1930s and the 1940s; 3. The region between the Baltic Sea and Black Sea during and after the Second World War (1939 to about 1950), and 4. Yugoslavia and its successor states from 1991 to 1999. In addition to the forced migrations, there were formally (more or less) voluntary migrations (option right, emigration), which also succumbed to ethnic and national imperatives.17 Since it is impossible for a survey to treat all forced migrations, this article is limited to a selection. The start-up of the forced migrations in the 20th century was provided by the Balkan Wars of 1912/1913, during the course of which ethnic cleansing on a large scale (forced rebaptism, forced name changes, expulsions and massacres) occurred that were fragmentarily documented by an international commission of observers from the Carnegie Foundation.18 The first internationally supported agreements on so-called population exchange followed. So-called population exchange because the quantitatively most significant agreement of these years – between Greece and Turkey in January 1923 – did not just initiate a new resettlement wave but also retroactively “legalized” the already completed flows of refugees and expulsions.19 There could be no question of an orderly resettlement. The plan to “unmix” the ethnic aggregate in a disputed region by exchanging minorities had already appeared a decade before the Lausanne agreement in a supplementary protocol to the peace agreement of 29 September 1913 between the Ottoman Empire and Bulgaria. It was the first interstate agreement in modern European history that provided for a population transfer between two states (but on a formally voluntary basis and limited to the inhabitants of border areas). Therefore, it went far beyond the option right entrenched in previous agreements. By contrast, the Greek-Turkish agreement of 1923 had a coercive character and extended to the entire respective state – with a few precisely defined exceptions relating to Orthodox Christians in Istanbul and Muslims in West Thrace.20 To the extent that the affected persons had not already fled by 1922 during the final phase of the Greek-Turkish war (such as the majority of Greeks in Asia Minor), they were resettled by coercion. The Treaty of Lausanne, which was negotiated under the auspices of the newly founded League of Nations, was another innovation in international law that was accepted (though with a bad conscience) as the ultima ratio for “solving” interstate conflicts. It served later actors, Adolf Hitler (1889–1945) as well as Winston Churchill (1874–1965), as a precedent and example.21 About 1.3 million Orthodox believers (“Greeks”), some of whom could not speak Greek, as well as almost 400,000 Muslims (of different linguistic and ethnic affiliations) lost their homes and previous citizenships. “Ever since the expulsion from Eden”, a British geographer wrote in 1925, “man has been trekking, and folk wanderings are the roots of his history; but with 1922 began what may fairly be called history’s greatest, most spectacular trek: the compulsory intermigration of two million Christians and Moslems across the Aegean Sea.”22 Overall, the victims of the flight and expulsion waves from 1912 to 1923 add up to two or three million people (especially Greeks, Turks, Bulgarians and Macedonians). The forced migrations in the Soviet Union of the 1930s and 1940s initially occurred in the context of Bolshevik “nation-building” and the forced restructuring of economy, society and culture.23 In Transcaucasia, the Northern Caucasus and Central Asia, the gigantic “Modernization Concept” of the Bolsheviks encountered the massive resistance of the native population. Josef Stalin (1879–1953) and his comrades perceived this as the resistance of the nationalities conceptualized by him and punished it with mass deportations. Ethnic minorities in border areas and those that had a “home country” beyond the borders came into the visors of mass persecutions and were “prophylactically” resettled by force to Siberia or into the interior. 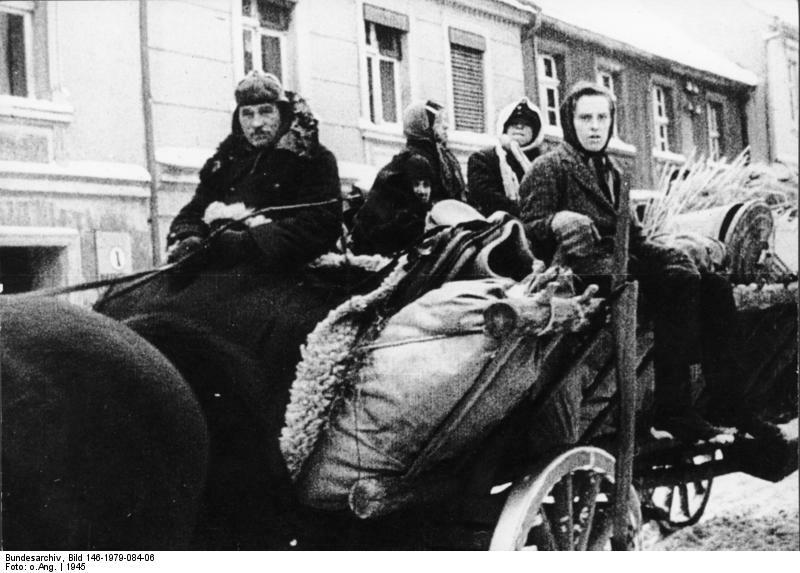 The members of the respective national elites and wealthy peasants were deported east between December 1939 and June 1941 from the territories that the Soviet Union incorporated after the Ribbentrop-Molotov Pact of 1939 (the Baltic states, Eastern Poland, Bessarabia, northern Bukovina). After Hitler Germany’s attack on the Soviet Union, this policy escalated and resulted in the deportation of entire peoples and the dissolution of their autonomous republics and territories. 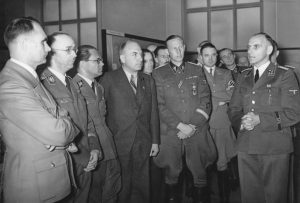 During the summer and fall of 1941 the Soviet leadership deported the German population from the European part of the Soviet Union and the Caucasus to Central Asia and Siberia to prevent a feared collaboration with the German army. According to the data collected by the geographer and historian Pavel Polian, the total number of those deported for “prevention” in 1941/1942 was about 1.2 million, of these more than 900,000 were Germans (among them 440,000 Volga Germans). Men and childless women were drafted into the so-called labour army; the remainder of the population was locked up in “special settlements” and were declared to have lost their rights as citizens.24 In the years 1943–1944 about one million members of other Caucasian and Turkic-speaking ethnicities who were classified as “unreliable”, among them 412,500 Chechens, more than 190,000 Crimean Tatars and about 100,000 Kalmyks, followed, so that the number of ethnically classified deportations rose to about 2.3 million. About a third died during the transport and the first years in the destination areas. With the advance of the Red Army, the number of those affected once again increased: Apart from political opponents (members of the anti-communist resistance movements) and “class enemies” (for example, in the Ukraine, the Baltic states and Bessarabia), especially Germans in the conquered and Soviet-controlled territories (e.g. in East Prussia and Silesia, but also in Romania and Hungary) became victims of the persecution measures that consisted of deportation for forced labour into the Soviet Union and/or forced resettlement – unless they had fled in time. 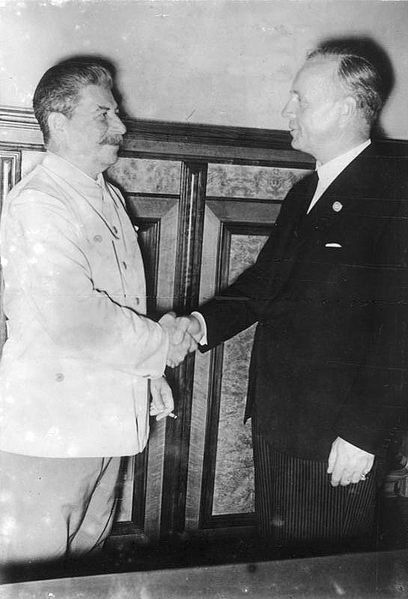 In 1945, the Soviet Union finally agreed on a population exchange with Poland according to the Lausanne “model”: 1.5 million Poles from the Soviet Union and the former Polish eastern territories were “exchanged” against about 520,000 Ukrainians, Belarusians and Lithuanians. In the following year, a similar (though quantitatively less weighty) agreement was concluded with Czechoslovakia. With Germany’s defeat, the direction of the great forced migrations became reversed. 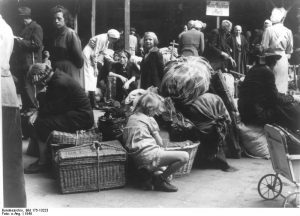 Flight, expulsion and resettlement now proceeded from east to west: for example, from the parts of Poland conquered by the Soviet Union to Poland and from Poland into the occupied zones of Germany. Already during the war the British Prime Minister Churchill spoke for a “westward shift” of Poland and an “untangling” of territories of mixed nationality. 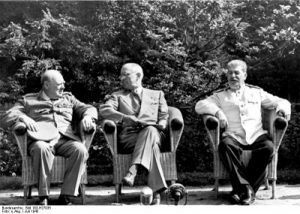 He repeatedly invoked the “successful” Lausanne model of 1923 in the process.28 At the Potsdam Conference the “Great Three” (Churchill, Stalin and Truman) announced in their Final Protocol of 2 August 1945 that they “recognize that the transfer to Germany of German populations, or elements thereof, remaining in Poland, Czechoslovakia and Hungary, will have to be undertaken.” This resettlement was to proceed in an “orderly and humane manner”. The governments of Poland, Czechoslovakia and Hungary were requested to stop further expulsions (“wild” expulsions) until the Allied Control Council for Germany had agreed on a just distribution and pace of the expulsions. The great majority of the German population in these three countries and Yugoslavia lost its homes towards or after the end of the war. Some fled or were evacuated, others fell victim to “wild” expulsions and retaliation, while the rest were forcibly resettled (sometimes for a repeated time). 12 to 14 million people were affected, of whom many did not survive the hardships.29 They have justifiably been called “Hitler’s last victims”.30 In the territory of Poland alone (within the boundaries before the Second World War), more than 20 million people of various nationalities (but especially Germans and Poles) are estimated to be caught up in the machinery of forced ethnic migration. After the end of the third wave of forced migrations, war, mass murder and expulsion seemed to have definitively become a thing of the past – at least in Europe. Therefore, the international public reacted with all the more shock to the ethnic cleansing in the former Yugoslavia (1991–1999). The Serbo-Croatian war in Croatia, which lasted with interruptions from 1991 to 1995, the Serbian-Muslim-Croatian war in Bosnia (1992–1995) and the ethnic cleansing in Kosovo (in the second half of the 1990s) developed into ethnic wars par excellence, but not in the sense of causing the war, for it was not “atavistic hatred” between the peoples of Yugoslavia. Rather, stoking of national threat scenarios, the revitalisation of old propagandistic images from the Second World War, and unbridled hate campaigns prepared the ground for the wars. However, once violence had started (as a rule by paramilitary gangs and “special units”), it created a new order and split the population into ethnonational conflict parties. About 150,000 to 180,000 people became the victims of these orgies of violence and 3 to 4 million people were driven out or fled. In Bosnia-Herzegovina alone, 2.3 to 2.5 million of the original 4.4 million inhabitants lost their homes through flight, expulsion or mass murder (in the first place Bosnian Muslims/Bosniaks, but also Bosnian Serbs and Croats). The genocide of about 8,000 Bosniaks near Srebrenica in July 1995 marked the climax of ethnic cleansing. Motives and implementation forms of forced ethnic migrations were similar in all cases during the 20th century. What changed were the national or ethnic labels of the affected and the actors. Sometimes it was Greeks and Turks, sometimes Germans, Poles and Russians, sometimes Hungarians, Slovaks and Czechs, sometimes Croats, Serbs, Albanians, Bosnians etc. In Central, South-eastern and Eastern Europe there is hardly a nation or ethnic group whose members were not in one or another form and to one or another extent forced to leave their home during the course of the 20th century. 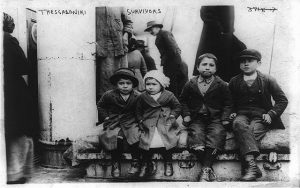 They were forcibly resettled, expelled or fled because they belonged to a particular nation or nationality or were allotted to it, regardless of individual incrimination. The cause was always an absolutising of the nation and the associated stereotypes of oneself and others, which especially in times of crisis and war darkened the mutual patterns of perception and images of enemies to unrecognisability. The threat scenarios stoked by intellectuals and politicians created outward delimitation and inward solidarisation. They created a group thought that only few in the camp of the perpetrators and the camp of the victims could escape. At times, perpetrators became victims and victims became perpetrators. Nevertheless, it is historically wrong to place perpetrators who became victims and victims who became perpetrators on the same level because this neutralizes cause and effect. Violence begets violence as well as an extremely polarised new order that did not exist beforehand and comes to determine action. Therefore, the question of who set the spiral of violence in motion and in whose name is historically always decisive. For, once it has been set in motion, it generates its own dynamic that forces its destructive logic on all the affected alike (perpetrators and victims), dooming also those as well who are not among its originators. Cf. Hahn et al., Ausweisung 2006; Bader et al., Enzyklopädie Migration 2008; Bessel et al., Removing Peoples 2009. Regarding the different terms used from country to country and the debates regarding interpretative authority on forced migrations in national “memorial cultures”, school books etc. cf. i.a. Bachmann et al., Verlorene Heimat 1998; Bingen et al., Vertreibungen 2003; Faulenbach et al., Zwangsmigrationen 2005; Troebst, Vertreibungsdiskurs 2006; Benthin, Vertreibung 2007; Piskorski, Vertreibung 2007; Strobel et al., Thema Vertreibung 2008; Haslinger et al., Diskurse 2008. Since the post-Yugoslav wars, studies on ethnic cleansing have developed into an independent field of research. The subject of these studies are not only the events in the former Yugoslavia but also ethnic cleansing events in other parts of Europe at other points in time. Cf. i.a. Bell-Fialkoff, Ethnic Cleansing 1996; Pohl, Ethnic Cleansing 1999; Ther et al., Redrawing Nations 2001; Carmichael, Ethnic Cleansing 2002; Vardy et al., Ethnic Cleansing 2003; Naimark, Flammender Hass 2004; Brunnbauer et al., Definitionsmacht 2006; Lieberman, Terrible Fate 2006. Cf. i.a. Beer, Nationalstaat? 2007. Cf. Haar et al., German Scholars 2005. This also includes those parts of Italy that belonged to the Habsburg Empire and the borderland between Finland and the Soviet Union. A systematic comparative overview of the nation forming processes in Europe is provided by Hroch, Europa der Nationen 2005. “‘The people’ were conceived as an ethnic community. Likewise, the term ‘citizenship’, which is actually without any ethnic dimension, was coloured towards ‘ethnic affiliation’.” [Translated by M.O.]. Kimminich, Schutz ethnischer Minderheiten 1985, p. 18f. “It cannot be allowed beyond a doubt that in any nation another nation exists; it is required beyond a doubt that those … who have promoted this decomposition are eliminated: It is the right of every people to be master of its own territory, to live for itself and not for foreigners. ” [Translated by M.O.]. Quoted according to Heckmann, Ethnische Minderheiten 1992, p. 45. Nation formation among “ethnic Germans” was mostly only completed in the interwar period and with massive involvement of “Imperial German” agents. Cf. As an example: Bethke, Deutsche und ungarische Minderheiten 2009, esp. Chap. V: Auf dem Weg in die “volksdeutsche Parallelgesellschaft”?, pp. 381ff. Also Kochanowski, “Volksdeutsche” 2006. Cf. i.a. Fahlbusch, “Volksdeutsche Forschungsgemeinschaften” 1998; Hettling, Volksgeschichten 2003. The “theory of the lost language” enjoyed great popularity, e.g. among Greek nationalists, since the end of the 19th century because it made possible reclaiming even the Slavic-speaking population (e.g. in Macedonia) as “actual” Greeks. Cf. Zelepos, Ethnisierung griechischer Identität 2002. Regarding the efforts of Greek anthropologists and race theoreticians to prove the continuity of Greeks from Antiquity to the Present, cf. Trubeta, Physical Anthropology, Race and Eugenics in Greece 2010 [forthcoming]. This objective was served i.a. by the Germanisation, Romanisation, Magyarisation or Bulgarisation measures in the territories annexed by Germany and its allies during the Second World War. The Nazi ethnic and race politicians developed for this purpose a scurrilous classification scheme for inclusion (“capable of Germanisation”) and exclusion. Cf. Heinemann, “Rasse, Siedlung, deutsches Blut” 2003; Hopfer, Geraubte Identität 2010; also Ferenc, Quellen 1980. The Bosnian Muslims, who speak the same language as their Serbian and Croatian neighbours but (voluntarily or due to force) converted to Islam under Ottoman rule, are a striking example. For decades, they were claimed by Serbian and Croatian nationalists as “actual” Serbs or Croats (with the “wrong” belief). But after the majority of Muslims could not be permanently assimilated, they were branded as “traitors” and “collaborators” with the former “occupying power”. A systematic comparative analysis of the exclusion of Jews and Muslims by means of two examples are provided by Müller, Staatsbürger auf Widerruf 2005. Cf. also Sundhaussen, Unerwünschte Staatsbürger 2001. Upper Silesia and the Macedonian area divided since 1913 between Greece, Serbia and Bulgaria shall be mentioned as representatives for many other regions. Cf. Struve, Kai et al., Grenzen der Nationen 2002; Wilkinson, Maps and Politics 1951. This applies, for example, to the migrations between the successor states of the great empires immediately after the First World War but also to the various emigration waves of the interwar period and after the Second World War, e.g. of Turks from Bulgaria, of Turks and other Muslims from the rest of the Balkan region, of South Tyrolians from Italy, of Germans from Romania etc. The following will usually omit specific demonstrations because this would force the article to exceed its length. Regarding forced migrants cf. Brandes et al., Lexikon der Vertreibungen 2010. Regarding this and the following, cf. the sources with commentaries in Sundhaussen, “Lausanne” – “Dayton” 2006. The persons affected by the population shift (“emigrants”) were not determined by their language or their national self-identification (which probably was uncertain in many cases), but according to their religious affiliation (as was the case in the tax surveys and censuses of the Ottoman Empire). However, the Orthodox believers were by far mostly ethnic Greeks. Regarding the details, cf. also Ladas, Exchange 1932; Pentzopoulos, Balkan Exchange 1976; Hirschon, Crossing the Aegean 2006; Kontogiogi, Population Exchange 2006; Clark, Twice a Stranger 2007. Cf. i.a. Lemberg, “Ethnische Säuberung” 1992; Convention Concerning the Exchange of Greek and Turkish Populations: The Lausanne agreement, Lausanne, 13. Januar 1923, in: Themenportal Europäische Geschichte (2006), URL: http://www.europa.clio-online.de/2006/Article=79 [15.02.2010]. Chater, History’s Greatest Trek 1925, p. 533. Regarding the prior history and the start of the ethnification of national awareness in Russia, cf. Baberowski, Diktaturen der Eindeutigkeit 2006. Polian, Against their Will 2004. Cf. Rössler et al., “Generalplan Ost” 1993; Wasser, Hitlers Raumplanung 1994; Madajczyk, Generalplan Ost 1994; Haar et al., German Scholars 2005; Heinemann et al., Wissenschaft – Planung – Vertreibung 2006. Thus, for example, Serbs in the “Independent State of Croatia”, who were expelled or murdered by the Croat Ustasha or fled into the German-occupied territory of Serbia. Cf. In detail Brandes, Weg zur Vertreibung 2005. Cf. also Frank, Expelling the Germans 2008. A selection of important sources and documents is also found in Schieder, Dokumentation 1953–1961; Spieler, Vertreibung 1989 and Borodziej et al. “Unsere Heimat” 2000–2004. Regarding the scholarly literature, cf. the selection in the bibliography. Franzen et al., Vertriebene 2002. The General Framework Agreement for Peace in Bosnia and Herzegovina: Das Dayton-Abkommen von 1995, Paris, 14. Dezember 1995, in: Themenportal Europäische Geschichte (2006), URL: http://www.europa.clio-online.de/2006/Article=27 [12/07/2010]. Cf. Troebst, Vom Bevölkerungstransfer zum Vertreibungsverbot 2008/2009. The return of expellees and refugees to their areas of origin is proceeding only hesitantly, especially where the returnees constitute a national minority. Apart from the uncertainty and anxieties of the potential returnees, insufficient governmental preparations of the concerned states (Croatia, Bosnia-Herzegovina, Kosovo) and unresolved property questions constitute difficult to overcome barriers. Aly, Götz: “Endlösung”: Völkerverschiebung und der Mord an den europäischen Juden, Frankfurt am Main 1995. Aust, Stefan et al. (ed. ): Die Flucht: Über die Vertreibung der Deutschen aus dem Osten, Bonn 2005. Baberowski, Jörg: Diktaturen der Eindeutigkeit: Ambivalenz und Gewalt im Zarenreich und in der frühen Sowjetunion, in: idem (ed. ): Moderne Zeiten? Krieg, Revolution und Gewalt im 20.°Jahrhundert, Göttingen 2006, pp. 37–59. Bachmann, Klaus et al. (ed. ): Verlorene Heimat: Die Vertreibungsdebatte in Polen, Bonn 1998. Bade, Klaus J. et al. (ed. ): Enzyklopädie Migration in Europa: Vom 17. Jahrhundert bis zur Gegenwart, 2. ed., Paderborn et al. 2008.
idem: Europa in Bewegung: Migration vom späten 18. Jahrhundert bis zur Gegenwart, Munich 2000. Beer, Mathias (ed. ): Auf dem Weg zum ethnisch reinen Nationalstaat? Europa in Geschichte und Gegenwart, 2. ed., Tübingen 2007. Benz, Wolfgang: Ausgrenzung, Vertreibung, Völkermord: Genozid im 20. Jahrhundert, Munich 2006.
idem (ed. ): Die Vertreibung der Deutschen aus dem Osten: Ursachen, Ereignisse, Folgen, Frankfurt am Main 1985. Bessel, Richard et al. (ed. ): Removing Peoples: Forced removal in the modern world, Oxford 2009. Bingen Dieter et al. (ed. ): Vertreibungen europäisch erinnern? Historische Erfahrungen – Vergangenheitspolitik – Zukunftskonzeptionen, Wiesbaden 2003. Brandes, Detlef et al. (ed. ): Lexikon der Vertreibungen: Deportation, Zwangsaussiedlung und ethnische Säuberung im Europa des 20. Jahrhunderts, Vienna etc. 2010.
idem et al. (ed. 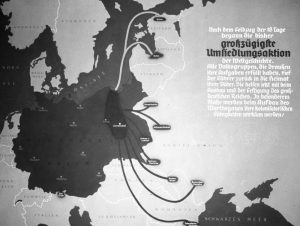 ): Erzwungene Trennung: Vertreibungen und Aussiedlungen in und aus der Tschechoslowakei 1938–1947 im Vergleich mit Polen, Ungarn und Jugoslawien, Essen 1999.
idem: Der Weg zur Vertreibung 1938–1945: Pläne und Entscheidungen zum “Transfer” der Deutschen aus der Tschechoslowakei und aus Polen, 2nd ed., Munich 2005. Brunnbauer, Ulf et al. (ed. ): Definitionsmacht, Utopie, Vergeltung: “Ethnische Säuberungen” im östlichen Europa des 20. Jahrhunderts, Münster 2006. Carmichael, Cathie: Ethnic Cleansing in the Balkans: Nationalism and the Destruction of Tradition, London et al. 2002. Ciesielski, Stanislaw (ed. ): Umsiedlung der Polen aus den ehemaligen polnischen Ostgebieten nach Polen in den Jahren 1944–1947, ed. and rev. of the German version by Klaus-Peter Friedrich, Marburg etc. 2006. Danyel, Jürgen / Ther, Philipp : Flucht und Vertreibung in europäischer Perspektive, in: Zeitschrift für Geschichtswissenschaft 51 (2003), issue 1. Esch, Michael G.: “Gesunde Verhältnisse”: Deutsche und polnische Bevölkerungspolitik in Ostmitteleuropa 1939–1950, Marburg an der Lahn 1998. Faulenbach, Bernd et al. (ed. ): Zwangsmigration in Europa: Zur wissenschaftlichen und politischen Auseinandersetzung um die Vertreibung der Deutschen aus dem Osten, Essen 2005. Franzen, K. Erik / Lemberg, Hans: Die Vertriebenen: Hitlers letzte Opfer, Munich 2002. Haar, Ingo et al. (ed. ): German Scholars and Ethnic Cleansing, 1919–1945, New York etc. 2005. Hahn, Sylvia et al. (ed. ): Ausweisung, Abschiebung, Vertreibung in Europa: 16.–20. Jahrhundert, Innsbruck 2006. Haslinger, Peter et al. (ed. ): Diskurse über Zwangsmigrationen in Zentraleuropa: Geschichtspolitik, Fachdebatten, literarisches und lokales Erinnern seit 1989, Munich 2008. 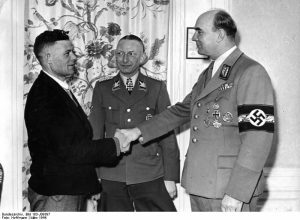 Heinemann, Isabel: “Rasse, Siedlung, deutsches Blut”: Das Rasse- und Siedlungshauptamt der SS und die rassenpolitische Neuordnung Europas, Göttingen 2003.
idem et al. (ed. ): Wissenschaft – Planung – Vertreibung: Neuordnungskonzepte und Umsiedlungspolitik im 20. Jahrhundert, Stuttgart 2006. Henckaerts, Jean-Marie: Mass Expulsions in Modern International Law and Practice, The Hague etc. 1995. Hettling, Manfred (ed. ): Volksgeschichten im Europa der Zwischenkriegszeit, Göttingen 2003. Hirschon, Renée (ed. ): Crossing the Aegean: An appraisal of the 1923 compulsory population exchange between Greece and Turkey, New York etc. 2006. Hopfer, Ines: Geraubte Identität: Die gewaltsame “Eindeutschung” von polnischen Kindern in der NS-Zeit, Vienna 2010. Jochem, Gerhard et al. (ed. ): Entrechtung, Vertreibung, Mord: NS-Unrecht in Slowenien und seine Spuren in Bayern 1941–1945, Berlin 2005. Kimminich, Otto: Der Schutz ethnischer Minderheiten in Westeuropa, in: Georg Brunner et al. (ed. ): Minderheitenschutz in Europa: Vorträge und Diskussionsbeiträge auf der Arbeitstagung am 12./13. Oktober 1984 in Würzburg, Heidelberg 1985, pp. 13–55. Kochanowski, Jerzy et al. (ed. ): Die “Volksdeutschen” in Polen, Frankreich, Ungarn und der Tschechoslowakei: Mythos und Realität, Osnabrück 2006. Kruke, Anja (ed. ): Zwangsmigration und Vertreibung: Europa im 20. Jahrhundert, Bonn 2006.
idem: Europe on the Move: War and Population Changes, 1917–1947, New York, NY 1948. Lemberg Hans: “Ethnische Säuberung”: Ein Mittel zur Lösung von Nationalitätenproblemen?, in: Aus Politik und Zeitgeschichte 46 (1992), pp. 27–38. Luft, Robert (rev..): Arbeitsbibliographie zur Geschichte von Vertreibung und Aussiedlung der Deutschen aus den böhmischen Ländern bzw. der Tschechoslowakei, Collegium Carolinum, München, online: http://www.collegium-carolinum.de/doku/lit/bibl-vertreibung.htm [15/02/2010]. Melville, Ralph (ed. 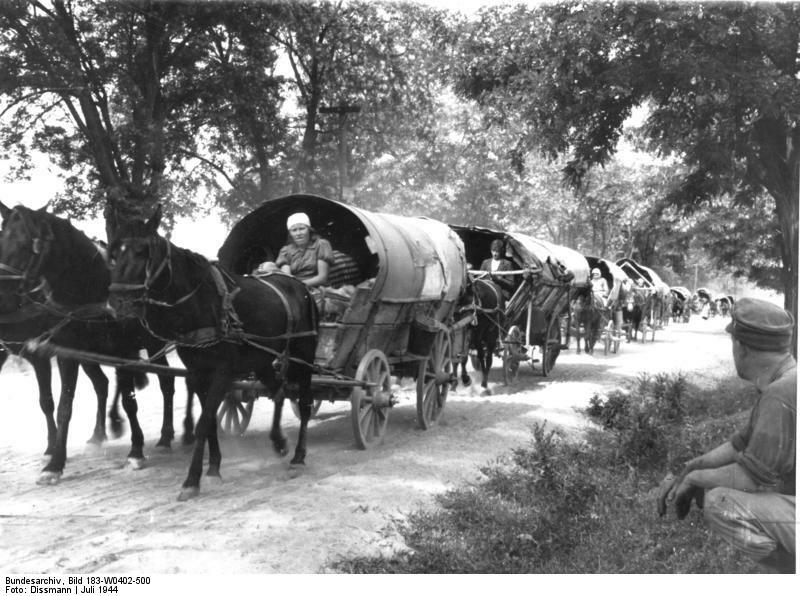 ): Zwangsmigrationen im mittleren und östlichen Europa: Völkerrecht – Konzeptionen – Praxis (1938–1950), Mainz 2007. Naimark, Norman M.: Flammender Hass: Ethnische Säuberung im 20. Jahrhundert, Munich 2004. Nitschke, Bernadetta: Vertreibung und Aussiedlung der deutschen Bevölkerung aus Polen 1945–1949, Munich 2003. Pentzopoulos, Dimitri: The Balkan Exchange of Minorities and its Impact on Greece, Paris et al. 1962. Petropoulos, John A.: The Compulsory Exchange of Populations: Greek-Turkish Peace Making, 1922–1930, in: Byzantine and Modern Greek Studies 2 (1976), pp. 135–160. Piskorski, Jan M.: Vertreibung und deutsch-polnische Geschichte: Eine Streitschrift, 2. ed. Osnabrück 2007. Pohl, Otto J.: Ethnic Cleansing in the USSR, 1937–1949, London et al. 1999. Redecker, Nils von: Die polnischen Vertreibungsdekrete und die offenen Vermögensfragen zwischen Deutschland und Polen, 2. ed. Frankfurt am Main et al. 2004. Rössler, Mechthild et al. (ed. ): Der “Generalplan Ost”: Hauptlinien der nationalsozialistischen Planungs- und Vernichtungspolitik, Berlin 1993. Rohlíková, Slavěna (rev. ): Die Zwangsaussiedlung der Deutschen und ihre Widerspiegelung in den gegenwärtigen tschechisch-deutschen Beziehungen, online: http://www.zeitgeschichte-online.de/site/40208167/default.aspx [15.02.2010]. Schechtman, Joseph B.: European Population Transfers 1939–1945, New York, NY 1946 (2. ed. 1970). idem: Postwar Population Transfers in Europe 1945–1955, Philadelphia, PA 1962. Schuster, Hans-Werner et al. (ed. ): Deportation der Südostdeutschen in die Sowjetunion 1945–1949, München 1999. Sienkiewicz, Witold et al. (ed. ): Zwangsumsiedlung, Flucht und Vertreibung 1939–1959: Atlas zur Geschichte Ostmitteleuropas, Bonn 2009 (also published with the title: Illustrierte Geschichte der Flucht und Vertreibung: Mittel- und Osteuropa 1939 bis 1959, Augsburg 2009). Slapnicka, Helmut: Die rechtlichen Grundlagen für die Behandlung der Deutschen und Magyaren in der Tschechoslowakei 1945–1948, Munich 1999. Staněk, Tomáš: Verfolgung 1945 : Die Stellung der Deutschen in Böhmen, Mähren und Schlesien (außerhalb der Lager und Gefängnisse), Vienna etc. 2002. Strobel, Thomas et al. (ed. ): Das Thema Vertreibung und die deutsch-polnischen Beziehungen in Forschung, Unterricht und Politik, Hannover 2008. Struve, Kai et al. (ed. ): Die Grenzen der Nationen: Identitätenwandel in Oberschlesien in der Neuzeit, Marburg 2002. Sundhaussen, Holm: Bevölkerungsverschiebungen in Südosteuropa seit der Nationalstaatswerdung (19./20. Jahrhundert), in: Comparativ 6 (1996), 1, pp. 25–40. idem: Von “Lausanne” nach “Dayton”: Ein Paradigmenwechsel bei der Lösung ethnonationaler Konflikte, in: Themenportal Europäische Geschichte (2006), online: http://www.europa.clio-online.de/2006/Article=79 [15.02.2010]. idem: Staatsbildung und ethnisch-nationale Gegensätze in Südosteuropa, in: Aus Politik und Zeitgeschichte 10–11 (2003), pp. 3–9, online: http://www.bpb.de/popup/popup_druckversion.html?guid=BMMNP2 [15/02/2010]. idem: Unerwünschte Staatsbürger: Grundzüge des Staatsangehörigkeitsrechts in den Balkanländern und Rumänien, in: Conrad, Christoph et al. (ed. ): Staatsbürgerschaft in Europa: Historische Erfahrungen und aktuelle Debatten, Hamburg 2001, pp. 193–215. idem et al. (ed. ): Redrawing Nations: Ethnic Cleansing in East-Central Europe 1944–1948, Lanham 2001. Timmermann, Heiner (ed. ): Die Beneš-Dekrete: Nachkriegsordnung oder ethnische Säuberung: Kann Europa eine Antwort geben?, Münster 2005. 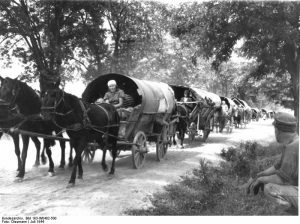 Tóth, Agnes: Migrationen in Ungarn 1945–1948: Vertreibung der Ungarndeutschen, Binnenwanderungen und slowakisch-ungarischer Bevölkerungsaustausch, Munich 2001. Troebst, Stefan: Vom Bevölkerungstransfer zum Vertreibungsverbot – eine europäische Erfolgsgeschichte?, in: Transit: Europäische Revue 36 (2008/09), pp. 158–182. idem (ed. ): Vertreibungsdiskurs und europäische Erinnerungskultur: Deutsch-polnische Initiativen zur Institutionalisierung: Eine Dokumentation, Osnabrück 2006. Trubeta, Sevasti: Physical Anthropology, Race and Eugenics in Greece (1880s–1970s): The Science – The Actors – The Ideas, Habilitation thesis at the FU Berlin 2010. Urban, Thomas: Der Verlust: Die Vertreibung der Deutschen und Polen im 20. Jahrhundert, Munich 2006. 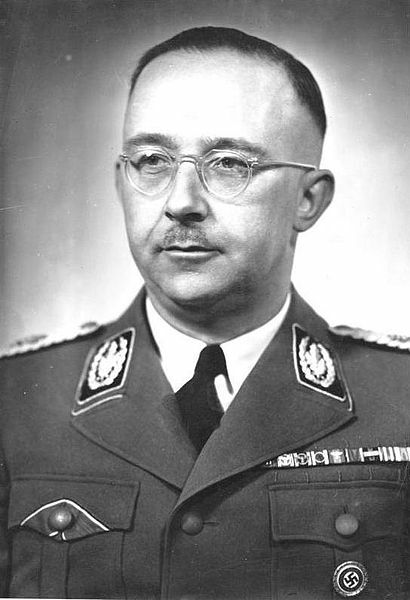 Wasser, Bruno: Himmlers Raumplanung im Osten: Der Generalplan Ost in Polen 1940–1944, Basel etc. 1994. Zelepos, Ioannis: Die Ethnisierung griechischer Identität 1870–1912: Staat und private Akteure vor dem Hintergrund der “Megali Idea”, Munich 2002. This entry was posted in History, Immigration, Migration. Bookmark the permalink.